Do you have a specialty custom home; perhaps an old Victorian? Maybe you just want to add heating and air to a workroom, garage, or shed. 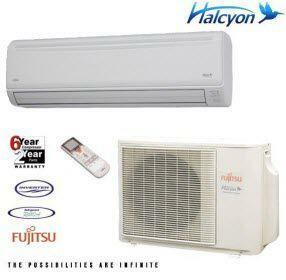 Any room that has difficult access is an appropriate application for a ductless mini split. Because these systems use individual air handlers without duct work, they can be located in almost any room. Bonney’s NATE certified technicians are uniquely trained to service and repair all brands of mini split systems including Goodman, Fujitsu, Mitsubishi and Carrier. Whether you need a tune-up or a compressor replacement, Bonney can handle the job! If you need a new system installed or replaced we can do that too. The best thing, however, about mini split systems is that they are very, very efficient. Not only do they use much less electricity to heat and cool, but neither is energy lost through the transfer of conditioned air via duct work. In other words, air is supplied right where you need it at the temperature you want. Bonney only installs the top brands of ductless mini splits including Fujitsu and Mitsubishi; brands used in Europe and Asia for decades. Be careful, there are some inexpensive, unreliable mini splits available. Bonney carefully helps you choose the brand that is best for you to ensure long lasting, trouble free service for many years. Broken Heater or AC: Repair or Replace?